Being cute and cuddly doesn’t mean you can’t also have a bit of a mischievous streak … Flash that grinning smile of yours and help (or not help) Alice in this Child Cheshire Cat Jumpsuit. This makes a perfect addition to any Alice in Wonderland group costume! If your child loves getting into a bit of mischief, we’ve got the perfect costume for him! 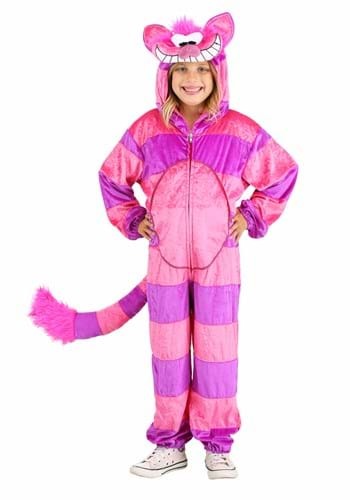 Let his mischievous side shine in this Child Cheshire Cat Jumpsuit.